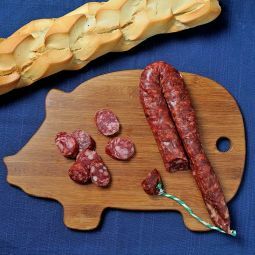 The Iberian Fuet Salami is a typical Catalonian charcuterie piece. It is thin salami with a characteristic white film. 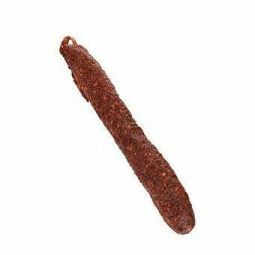 The Iberian Fuet Salami is popular for its nice taste with a touch of pepper. 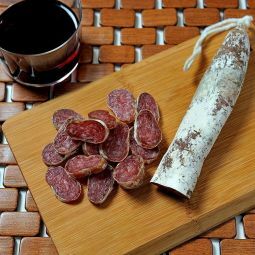 The Iberian Fuet Salami is an emblematic charcuterie product from Catalonia. 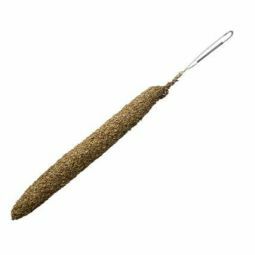 It is very popular because of its nice taste with a touch of pepper. 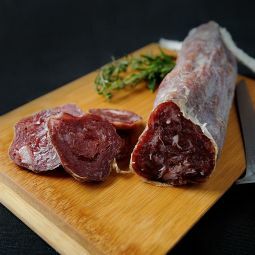 The Iberian Fuet Salami is thin and it has a white film because of the air drying in a humid and warm place. 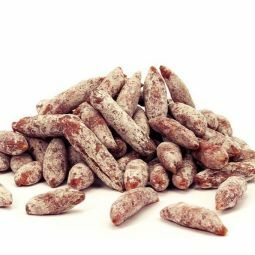 Our Iberian Fuet Salami is made traditionally with pork meat. Outside the salami is mainly white and inside it has a dark red colour with small white dots. 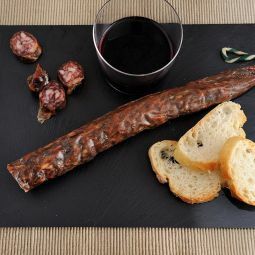 The Iberian Fuet Salami has the characteristic and rich taste of the traditional Catalonian Fuet Salamis. 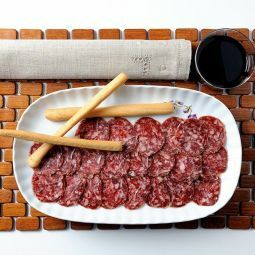 Enjoy our Iberian Fuet Salami as snack or appetizer.